Mona Charen has a loyal following from her syndicated newspaper column (which runs in more than two hundred newspapers) and her many television and radio appearances. Her first book, Useful Idiots, was a six-week New York Times bestseller. Now she's back, switching her focus from foreign policy to domestic issues. Unlike some conservatives who throw verbal hand-grenades, Charen never gets shrill or mean. Instead, she focuses on the facts to reveal exactly why liberals are wrong - and how their proposals hurt the very people they claim to be fighting for, as well as the country as a whole. Do-Gooders is a guide to the smug know-it-alls in politics, the news media, and Hollywood who think they know what's best for the poor and other needy Americans. 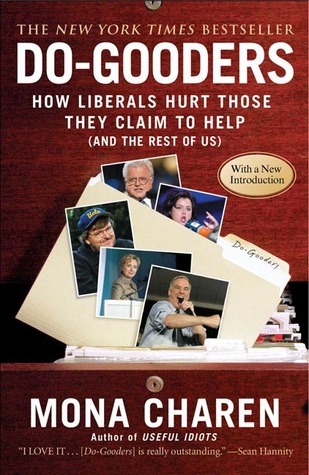 From Marion Wright Edelman to Howard Dean, Hillary Clinton to Rob Reiner, this book will skewer the liberals by name. It covers topics like: Â· Education: Do-gooders send their own kids to private schools while working to deny poor children a better education through voucher programs. Â· Affirmative Action: Do-gooders defend racial preferences at all costs, while ignoring the enormous problems they create for African Americans at all levels of achievement. Â· Welfare: Do-gooders thought welfare reform in the 1990s would hurt the poor, and they still refuse to admit how much it actually helped. By collecting and exposing the most outrageous quotes and actions of the do-gooders, this book will become a must-read for conservatives across the country as they gear up for the next round of policy battles.